CARE has worked in Sri Lanka since 1950, with a focus on food security and maternal and child health. Today, we work to address the root causes of poverty and the marginalisation of vulnerable groups by building communities’ skills and promoting good governance within government and community organisations. We work with poor rural communities, conflict-affected populations and plantation workers. Our programmes focus on peacebuilding, sustainable livelihoods, gender equality, emergency preparedness and disaster risk reduction. We also work to address gender-based violence through training, awareness-raising and supporting women’s action groups. The tea, rubber and coconut plantation sector is the largest employer in Sri Lanka. We support workers, management and local governments to improve living conditions on these plantations, to empower estate workers and make them self-reliant. We also provide technical assistance and help workers access information and services such as education and healthcare. We promote joint decision-making by plantation workers and management. CARE has extensive experience of long-term development and relief programmes in the conflict-affected areas of north and east Sri Lanka. We help families resettle and rebuild their lives and we help government and organisations build the skills and knowledge they need to meet community needs. We also help these communities with food production, rebuilding infrastructure, savings and loan schemes and earning a living. 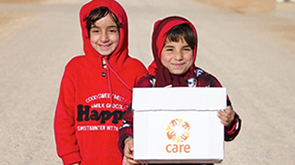 CARE provides immediate emergency assistance in the aftermath of a disaster, and continues to work with communities in the long term to help them recover and rebuild infrastructure, livelihoods and shelter. Our emergency work targets the most vulnerable groups, especially women-headed households. We also help communities prepare for and mitigate the risk of future disasters.